Vision is probably our most important sense, but we often take it for granted. Learn about some common eye problems and the effective treatments now available. Vision is perhaps the most important of our five senses, but it’s often taken for granted, until problems develop. And they seem to develop at lightning speed as we age. The most frequent complaints, according to the National Eye Institute, are “refractive errors,” better known as nearsightedness, farsightedness, presbyopia and astigmatism. Most adults over age 35 are affected by one or more of these conditions, which are typically corrected with eyeglasses and contact lenses. 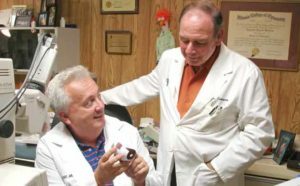 The good news is that optometrists and ophthalmologists have been treating eye conditions for decades, with much success. And new, improved treatments continually evolve. Even when it comes to eye transplants, physicians have more than a century of experience to draw upon, says Dr. Richard Miller, a Rockford ophthalmologist and fellowship-trained corneal specialist who owns Miller Eye Center, 2995 Eastrock Dr.
Corneal transplants are the most common of all transplants performed in the United States. They’re highly successful because they require no tissue-type matching, and rejections can usually be readily treated. Such transplants benefit young and old alike. 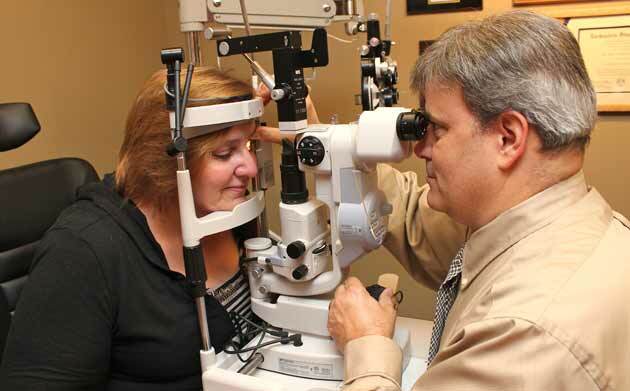 Glaucoma is a serious, common and incurable eye disease that can lead to blindness. When necessary, Miller treats it surgically. Normal intraocular pressure readings range from 10 to 21, but such readings in glaucoma patients may be 30 or higher. Occasionally, glaucoma patients have normal eye pressure, making the disease difficult to diagnose. Miller says patients ages 50 and younger should be screened for glaucoma every two years; after 50, annually. Early in the disease stage, treatment typically begins with drops that reduce eye pressure. Secondary treatments may include laser surgery or hospital-based surgery, both of which aim to reduce high pressures. Glaucoma can be controlled, but not cured. The condition worsens over time, no matter what course of treatment is used. Most laser or surgical methods yield benefits for 5 to 10 years and may need to be repeated. What really excites Miller is the future of eye treatment. In the early 1980s, 3M developed a multifocal intraocular implant, using new technologies developed by the Hubble Space Telescope team to overcome image blurring caused by earth’s atmosphere. Available under different brand names, it has an 80 percent success rate in allowing patients to read and clearly see distant objects. Miller has already implanted more than 700 of them. Given that more than half of all people age 80 and up have cataracts or have had them removed, it’s thrilling to envision a time when this affliction is a thing of the past. Today, surgical treatments with high success rates are available. Left untreated, cataracts slowly cloud vision until people no longer can do the things they want to do. When patients visit, Malik considers whether non-surgical avenues, such as prescribing different glasses, should be the first course of action. After assessing test results, Malik reviews with his patient the facts, risks and benefits of surgery. When the patient is ready, Malik takes careful measurements and determines the best way to implement the cataract removal and lens replacement. The technique, called phacoemulsification, is performed on an outpatient basis, either at the surgery center or a hospital. 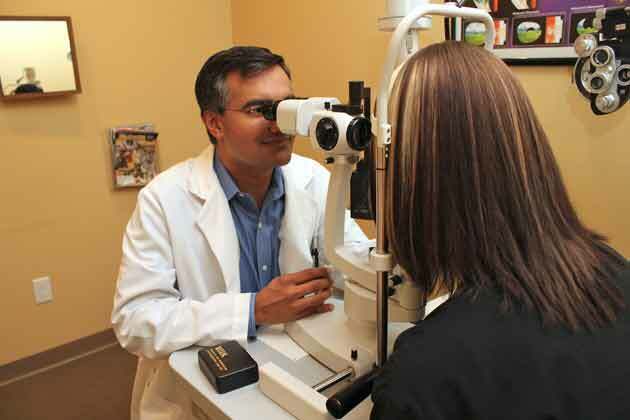 Patients recover quickly and are generally ready for new glasses in as little as two weeks. In about 30 percent of cataract removal cases, a thin film develops behind the lens, which can affect vision. Malik removes it, in the office, using laser technology. Most patients who have cataract surgery achieve long-distance vision clarity, without glasses, within days. Patients with astigmatism may require toric lens implants; a toric lens has two different powers in two orientations perpendicular to each other. Often performed in conjunction with cataract surgery, the limbal relaxing incision, a refractive surgical procedure, may help patients to achieve sharper long-distance vision, by correcting minor astigmatism. For patients who want to read without glasses after cataract surgery, treatment options are expanding. Multifocal lens implants are one option, Malik says. Two brand-name products on the market are AcrySof IQ ReSTOR by Alcon and TECNIS Multifocal by Abbott. Other options for better reading vision include blended vision treatments and monovision lens implant treatments. 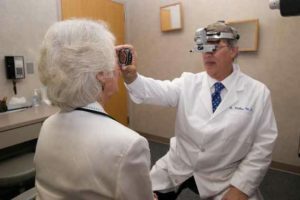 Indeed, new products and procedures for corrective eye care are impressive, says Dr. Kenneth R. Minarik, a registered optometrist who practices at Northern Illinois Optical, 121 N. Madison St., Rockford. He has followed such advancements closely, ever since he began practicing 30 years ago. He points to improved contact lens technology as one example. Those people who enjoy very good distance vision for the first 40 to 50 years of their lives may eventually need corrective lenses for improved near vision. Unfortunately, this can compromise their ability to see afar. The best possible situation occurs when patients start wearing glasses or contacts in middle or high school, because they adapt more easily later in life, when they’ve had to wear them since childhood. This eliminates start-up problems that can occur with the sudden need for corrective lenses, such as blurring when the patient looks down, seeing warped edges and angles, and altered depth perception. Minarik emphasizes that early and consistent eye maintenance and care are essential, for more reasons than patients may realize. Cancer is another unexpected diagnosis. Along with finding a good eye doctor to conduct regular eye exams, it’s essential for patients to find reputable companies that provide glasses and contact lenses. While everyone agrees that lifelong good eyesight is extremely important, not everyone understands that eye care should start early, whether or not there’s reason to suspect a problem. A child’s first eye exam should occur between 6 and 12 months of age, says Dr. William Hillmann, a registered optometrist at Primary Eye Care Centers, located in Edgebrook, 1603 N. Alpine Road, Rockford. The American Optometric Association (AOA) encourages eye exams in infancy, as well. Among the problems a child may face are significant near- or farsightedness, a turning eye, or a congenital cataract which could result in “lazy eye,” or amblyopia. Often, parents don’t realize their children have sight issues until the children attend school. Professional eye exams go far beyond traditional school eye screenings, which tend to concentrate on distance vision and may fail to identify up to 60 percent of children who have vision problems. Hillmann encourages parents to watch for signs of vision problems. These children may be misdiagnosed as having attention deficit or hyperactivity disorders when the underlying problem is actually vision-related. 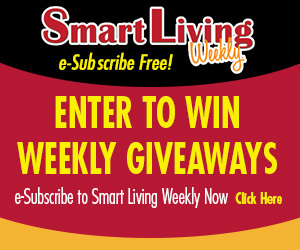 This entry was posted on Friday, October 14th, 2011 at 11:59 am	and is filed under Health & Fitness. You can follow any responses to this entry through the RSS 2.0 feed. Both comments and pings are currently closed.